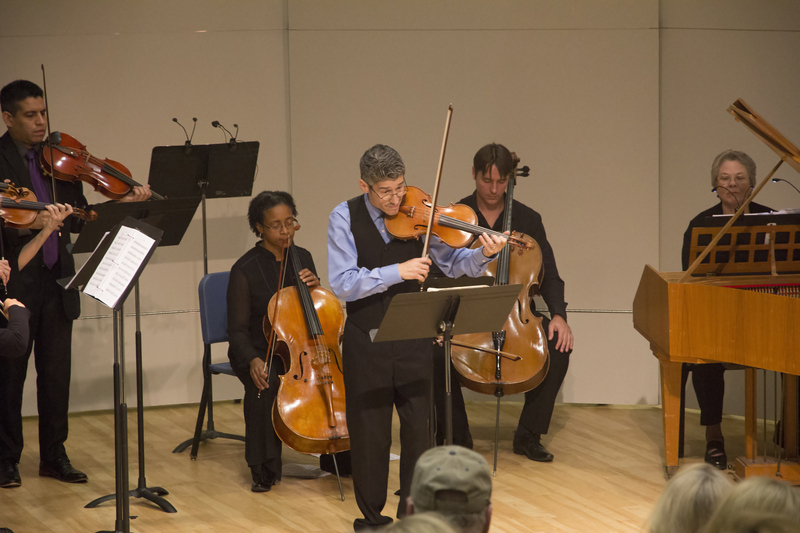 On Saturday, Oct. 1, the Paramount Chamber Players breathed new life into Antonio Vivaldi’s Four Seasons, and took the audience back in time with Astor Piazzolla’s Cuatro Estaciones Porteñas. Vivaldi’s piece may have been Four Seasons, but on Saturday night in Mathes Recital Hall on campus, the performance was a five course meal. The appetizer was the poetry that was read to introduce a new piece for each season; spoken by Luis Casal who played the viola. The salad was the other amazing orchestra players, entrée was George Figueroa with his violin solo, sides were the cellos, and the palate cleanser was the harpsichord for its refreshing sounds. Each musician and their instrument beautiful and important to the piece. For desert there was Astor Piazzolla’s Cuatro Estaciones Porteñas. In Piazzolla’s piece, which translates to The Four Seasons of Buenos Aires, the audience was taken on a journey through time back to an Argentinian night club in the 1950s. The time between each piece is about 230 years, but that does not stop each piece from capturing the essence of each season. “I tried to find music that’s composed in the last hundred years,” said Craig W. Combs, the piano player for the Paramount Chamber Players. Before each piece would play, Casal would step up to the microphone and read a piece of poetry that went along with each piece. The poetry was designed to give the audience an idea of what the sound of each instrument meant. For example, when reading about gnats the players played an example of the sound that represented them buzzing around. While reading Casal worked in Figueroa as the star of the poems. When Casal read about Winter and a group going hunting, Figueroa was the huntsman who ends up dying. This form of poetry reading brought another dimension to the performance. 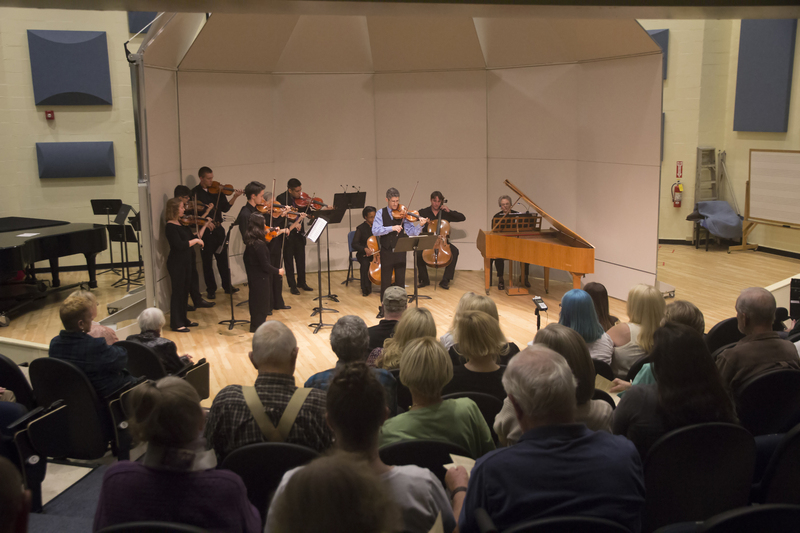 After Vivaldi’s Four Seasons, an ensemble performed Piazzolla’s piece. This time there were only three players, and one of them was Combs on piano. The three men together created such imagery with their artistry and intensity that it was almost as if we transported back in time to a smoke filled club with only two dancers on the floor dancing the tango. “We are a little dressed down. It’s not because it’s hot in here it’s because the music is hot,” Combs said before playing Piazzolla’s piece.